The joy-filled celebration was mixed with bittersweet emotion as all of these young woman had suffered the loss of a parent, an event often felt most acutely during momentous occasions. 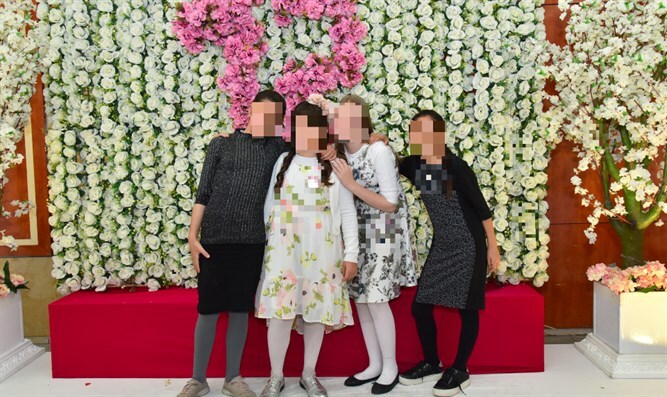 Inspirational speaker Rabbanit Yemima Mizrachi presented a message of strength and hope to the girls and their mothers before the group enjoyed a four-course fully catered meal alongside music and dancing. “All of these preparations – from the beautiful design of the room to the smiles on everyone’s faces and the personal attention that we each received as family and not just guests – nothing was left out,” said one of the mothers. “We know how hard it can be to celebrate an important milestone without the head of the family,” said Rabbi Itzik Marton of Colel Chabad.